I really dig the artists vision here. 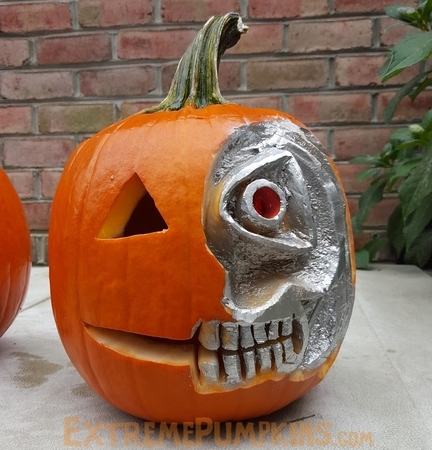 I think they wanted to make a jack-o-lantern that was half tin-man and half human. They were trying to say that we all sometimes have a heart and sometimes are heartless. That's what we all share in common. What a deep, philosophical vision.